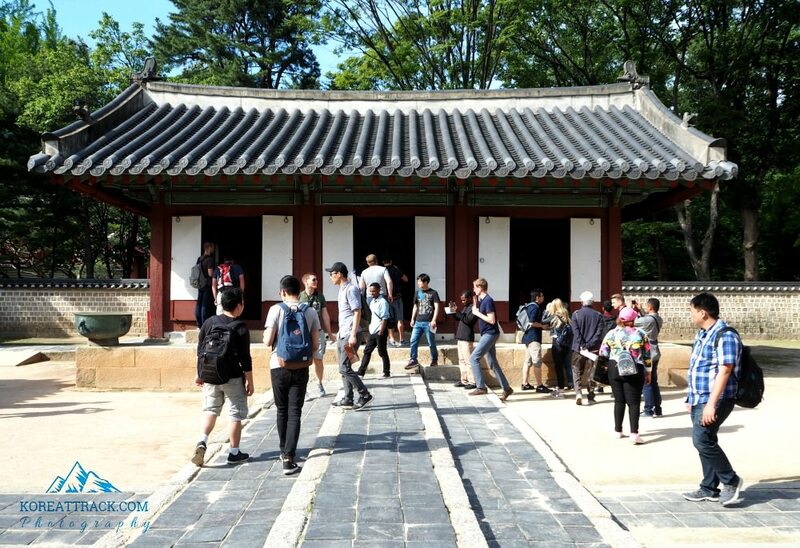 Jongmyo Shrine is a famous historic site located in a very accessible but busy area in Seoul. 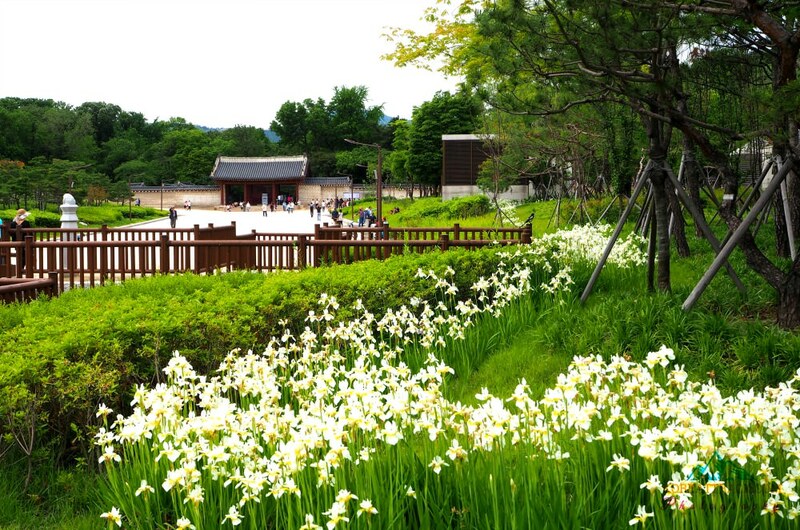 Among attractions tourists, Jongmyo is a must-visit site among many in this capital city. It is also a famous educational site among younger Korean generation. They learn about the Confucian culture and practices of the past royal families. The construction of Seoul Jongmyo Shrine was one of King Taejo’s plans as he started building the Joseon Dynasty in 1392. In his manifesto, King Taejo decreed that all kings and queens who died should be honored with the true Confucian ceremony and then be followed with a series of ancestral rites. I have just joined a guided tour of this UNESCO heritage and found my experience very educational and most of all quite interesting. For example, the Korean tour guide who spoke in English explained that Koreans before were not allowed to cut or shave off their hair because their bodies do not belong to them but their parents and ancestors. Due to this belief, their bodies should be buried in the ground and not to be cremated. TRIVIA: Foreigners, long ago, had difficulty in distinguishing between a boy and a girl because they have grown long ponytails! The ceremonies were performed five times a year, with a special ceremony on the winter solstice, but basically one for each season only. These ceremonies were conducted by the ruling king to pay his respects to those who passed away before him – such as bowing profusely and describing all the issues of the state to their spirit tablets. The Spirit Tablets are the wooden blocks wherein the deceased royal spirits are believed to reside. Even though the courtyards are accessible; the buildings are closed all year round except only during the first Sunday in May. During this day, Jongmyo Daeje, a long and solemn ceremony is being held and usually followed by traditional dances, a sight that that is worth witnessing. By the way, while within the courtyard, you can walk on the elevated footpaths which were only supposed to be reserved for kings. 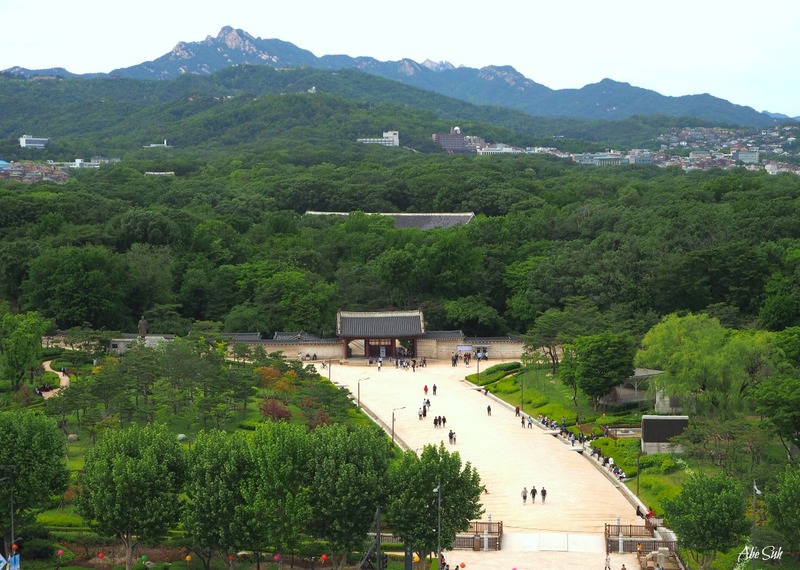 Jaegung is where the king and the crown prince made their preparations for ancestral rituals. It is also called Eojaesil or Eosuksil. Oajaesil, where the king stayed, is to the north. Sejajaesil, a room for the crown prince, is to the east. Eomokyokcheong, a bath facility is to the west. 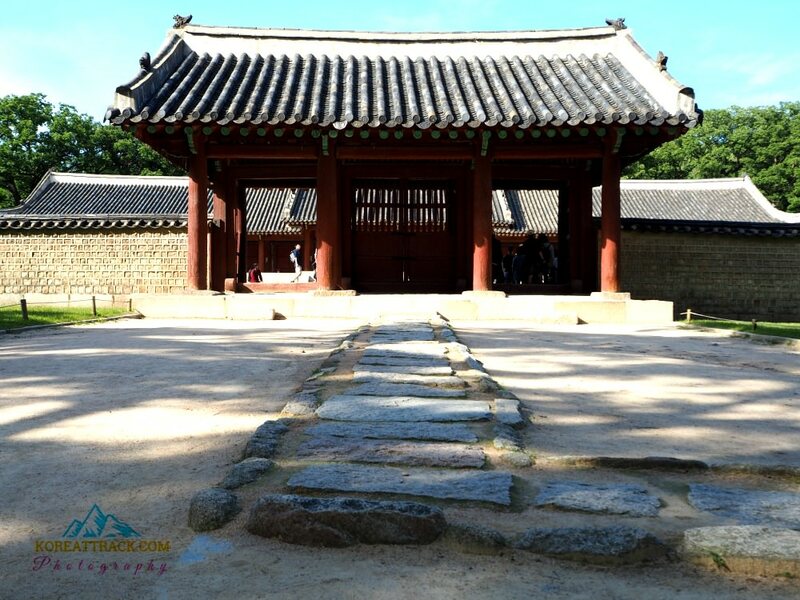 The king and the crown prince entered through the main gate of Jaegung and stayed here to purify their minds and bodies, exited by the west gate, and then entered Jeongjeon, the main hall, through the east gate to perform the rituals. Jeongsacheong is a kitchen where foods were prepared for rituals. In ordinary times, ritual vessels and tools were kept inside this rectangular-shaped building. On the courtyard, stone mortars used for preparing food remain. Subokbang, between Jeonsacheong and the east gate of Jeongjeon, was the quarters used by officials guarding Jongmyo Shrine. In front of Subokbang are raised areas named Chanmakdan and Seongsaengwi. Chanmakdan is where the food was given the last check before being taken out for rituals. Seongsaengwi is where animals such as cows, sheep, and pigs were examined before being sacrificed. To the east of Jeongsacheong is Jejeong, a well used for rituals. Yeongnyeongjeon (the Hall of Eternal Peace) was an addition to Jeongjeon. It was built when Jeongjeon at Seoul Jongmyo Shrine could no longer accommodate any more tablets. 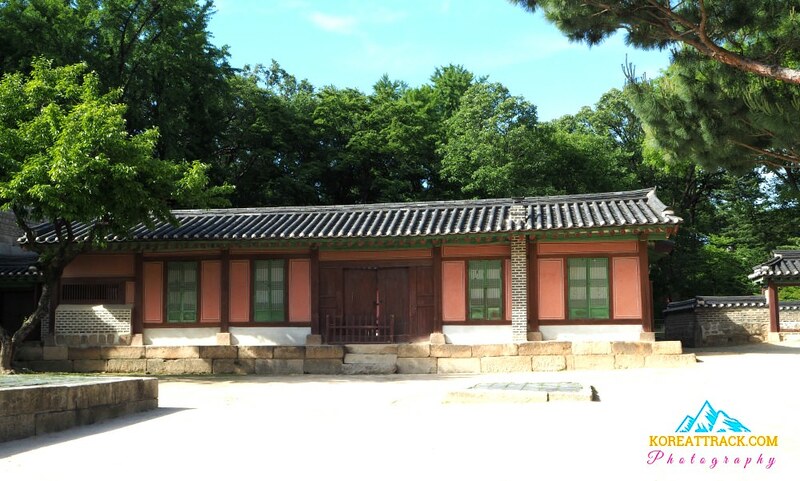 The name of the hall means “long live both ancestors and descendants of the royal family in peace.” The facilities and layout of Yeongnyeongjeon are similar to those of Jeongjeon, but it is smaller and more intimate. Like at Jeongjeon, a woldae, or two-tiered elevated stone yard, is enclosed with walls, and three gates were built in the east, south, and west. Yeongnyeongjeon had six spirit chambers when it was first built. It was eventually expanded to 16 spirit chambers as we see it today. Unlike the roof of Jeongjeon, which emphasized the long horizontal line, the center section of the roof of Yeongnyeongjeon is elevated. Under this raised section are four spirit chambers for ancestors of the preceding four generations of King Taejo, founder of the Joseon Dynasty. 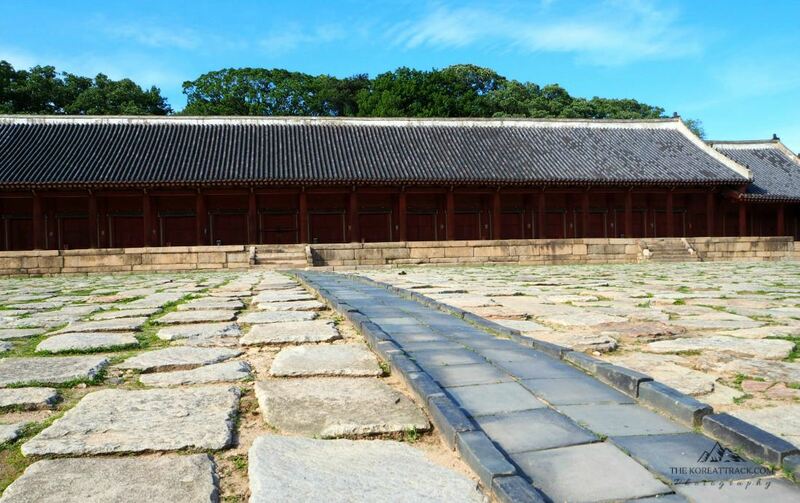 A storage room for ritual equipment was built to the east, and Akgongcheong (Musician’s Dressing Room), was built outside the southwest wall. Chonmyo Shrine has received international recognition by inclusion on the UNESCO Wolrd Heritage List, which was established by the Convention Concerning the Protection of the World Cultural and Natural Heritage. Properties chosen for this list must have invaluable and distinctive features which deserve special protection for the benefit of all humanity. 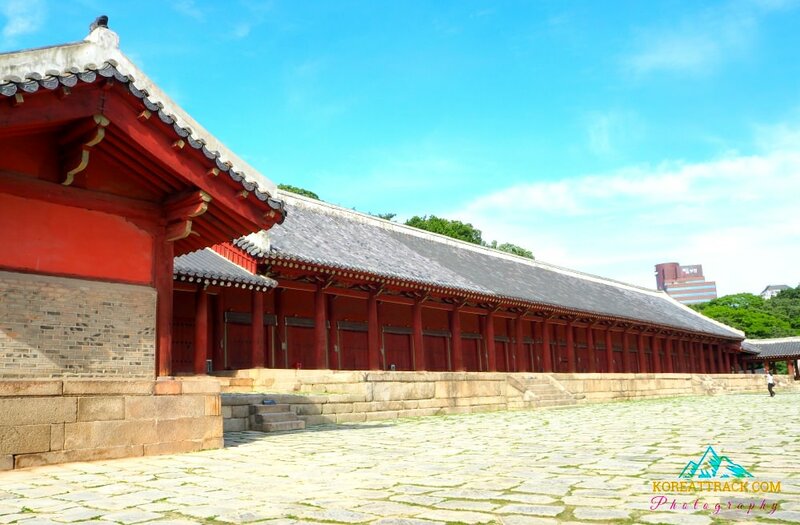 Chongmyo Shrine was built in the fourth year of King Taejo of the Choson Dynasty (1392-1910) and embodies Confucian ideals. Since its construction, annual rites have been offered before the ancestral tablets of the kings and queens of the Choson royal family. Date of Registration: December 9, 1995. As its name clearly indicates, Jongmyojeongyo (meaning “bridge leading to the royal ancestral shrine”) was built to cross the Hoedong Jesaengdongcheon, the stream that runs by the entrance to Royal Ancestral Shrine (Jongmyo), linking the two districts of Hoe-dong and Jesaeong-dong in the capital of the Joseon Dynasty. Originally a wooden bridge, it was built with stone in 1421 during the reign of King Sejong (r. 1418-1450), and renovated in 1663. 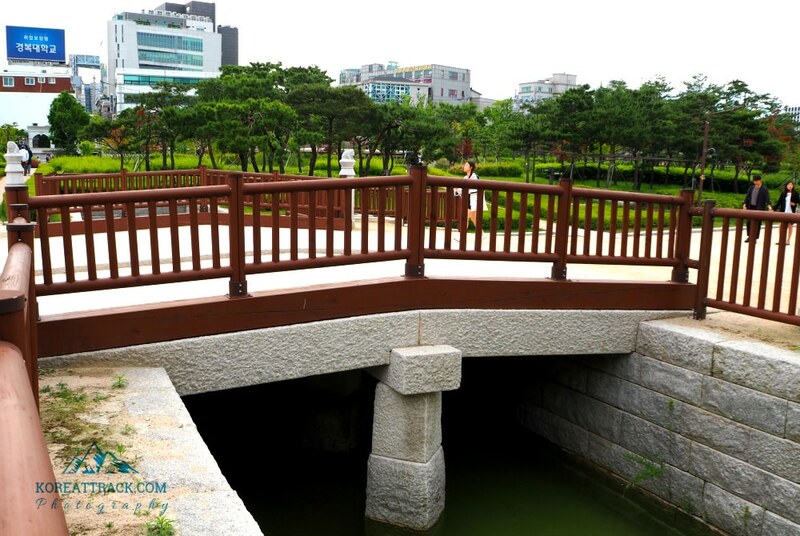 For the Joseon rulers, the bridge was a very important part of the infrastructure of their capital city because they had to use it whenever they were required to attend major state events held at the shrine, including the annual memorial rites honoring the royal ancestors of Joseon. The bridge was 6.9 meters long and 9.6 meters wide, and consisted of a simple beam bridge structure roughly divided into three lanes, with the middle lane slightly raised to represent a royal lane. The newel posts standing at both ends of its abutments are topped with sculptures of a mythical beast called a haetae. 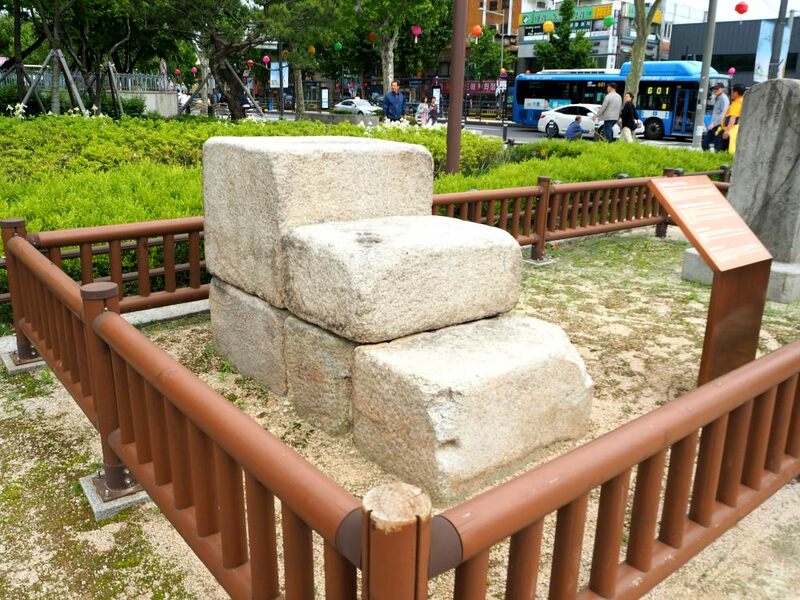 Hamabi is one of many such stones set up around the entrances to the important state institutions of Joseon, including the royal ancestral shrine and royal palaces, commanding visitors or passersby to show respect by dismounting from their horses. 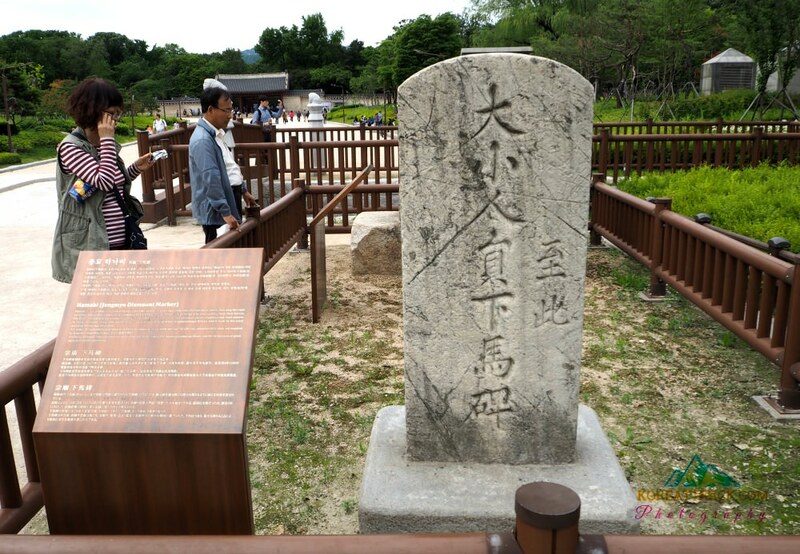 The first such markers were wooden signs posted at the entrances to the royal ancestral shrine (Jongmyo) and royal palaces in 1413. However, these were replaced by stone markers in 1663 when Jongmyongjeongyo Bridge, which leads to the royal ancestral shrine, was renovated. Gradually, dismount markers were set up in other places, including the Munmyo Confucian Shrine and the birthplaces of great sages and scholar-statesmen. Angbuilgu refers to a type of sundial made in the period of the Joseon Dynasty (1392-1910). Angbu literally means “cast iron pot that looks up into the sky” in Korean. When streetcar tracks were built in 1898 during the 2nd year of Gwangmu, the pedestal was buried below ground. In 1930, it was excavated and moved to Tapgol Park. 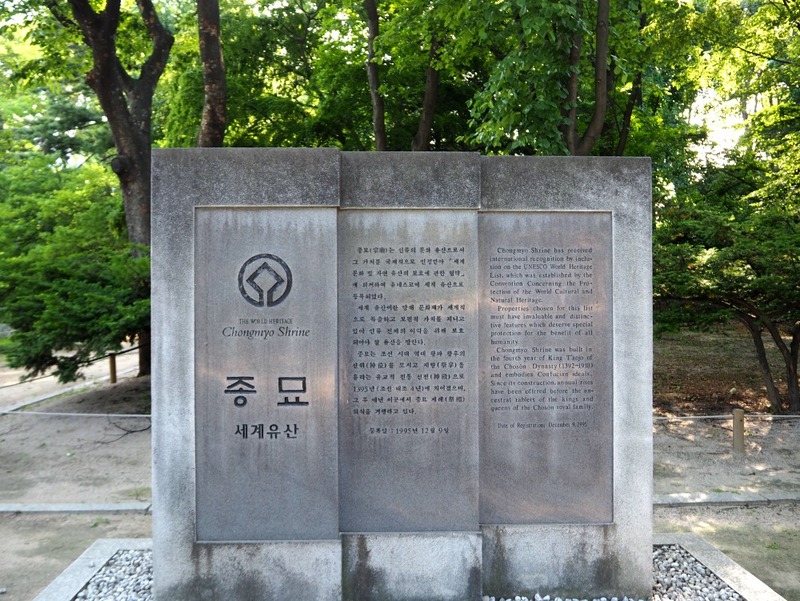 With the rearrangement of Jongmyo Plaza in 2015, it was relocated here based on historical research. 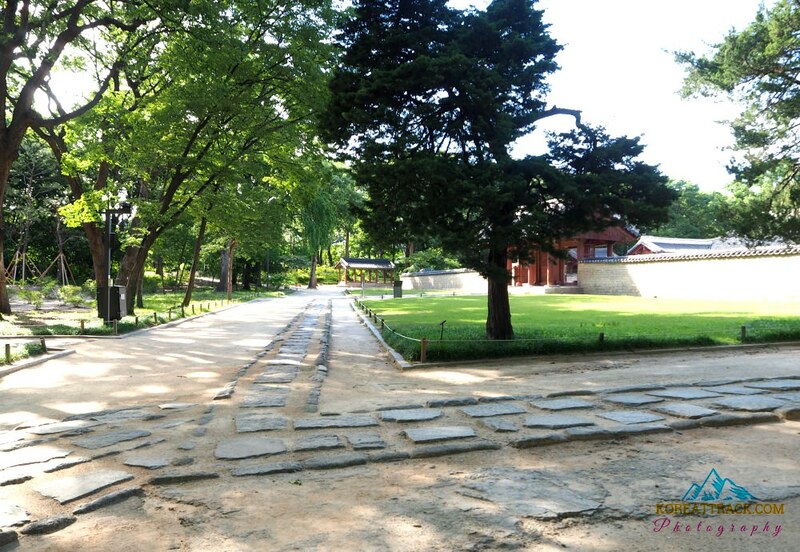 As you exit Seoul Jongmyo Shrine from the main entrance, you will find yourself in Jongmyo Park, a spacious area planted with some trees, flowers, and some sitting areas where you can relax after your tour inside the shrine. From here, you can proceed to any popular place as it is located right where great attractions are located. This is your direction when you are heading to Seoul Jongmyo Shrine, and you cannot miss it. Seoul Subway Line 1, 3, 5 run at Jong-no 3ga Station. Go to Exit 11. Buses (regular city bus and intercity buses frequently travel Jongro road. Bus: 111, 201, 260, 262, 270, 271, 721, N15, N62 or 9301 and get off at Jongno 4(sa)-ga.Jongmyo Shrine Bus Stop. Please, let me know should you have questions or need special guidance related to this site. Thanks and enjoy your travels!